BUYING A USED CAR IN GEORGIA? Running a full Vehicle History Report is one of the best ways to get to know the vehicle you intend to purchase. Beyond just vehicle specifications and owner history, the right Vehicle History Report can uncover information that the seller may not want you to know. VinCheckUp Vehicle History reports offer a vast amount of information on practically any vehicle, from ownership history to accidents and significant vehicle-related events. VinCheckUp is the fastest and most cost-effective source of in-depth vehicle history reports in the state of Georgia. Start with a Free VIN search and let us help you uncover the truth. 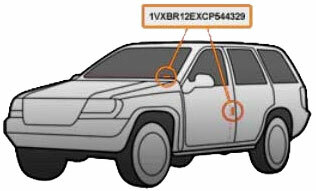 It is used as a serial number that helps to identify every form of vehicles e.g. 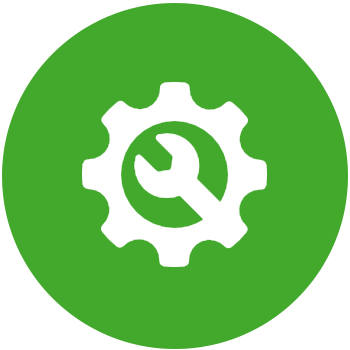 scooters, mopeds, motorcycles, motor vehicles and towed vehicles. There are multiple ways of locating your vehicle identification number. One of the easiest is simply by standing facing the vehicle from the front on the driver's side where the windshield meets the dashboard (for most vehicles). If it's not found there, need not worry for this number may also be found stamped on the driver's side door post (typically need the vehicle door latch mechanism) as well as various other vehicle components. You will also find your VIN on the vehicles title or registration documents. Once your VIN has been located, you may now request a full vehicle history report by simply typing the VIN into the search box located on the vincheckup.com website. Get a real-time detailed vehicle history report from our Georgia state database. Reports available on all makes and models of cars, trucks, vans, rvs and motorcycles. In the year 2010, there were a total number of 3,738,952 registered automobiles in Georgia. This number has increased rapidly over the last few years as well as the number of car accidents reported. In the state of Georgia an annual average motor vehicle crashes shows at 61,106 on the average and fatal crash of 1,370, which is the leading cause of premature deaths among the population in Georgia. Hence, buyers of pre-owned vehicles are advised to be careful and vigilant so as not to get stuck with a salvaged/totaled vehicle. Please note that not all pre-owned vehicles with a history of damage can be categorized as bad/lemons. This is why a visual inspection of the vehicle is so vital and it must be considered along with the full vehicle history report. Having said that we want to stress that there are a few exceptions. We would urge that you stay away from vehicles involved in multiple accidents, especially with a record of multiple accident air bag deployment. This typically means that the vehicle was extensively repaired over the course of its life and may indicate that the vehicle has had a hard life. When buying a pre-owned vehicle in the state of Georgia a VinCheckUp Vehicle History Report is your most reliable and valuable tool for helping you make an informed buying decision every time. Unlike other vehicle history records providers in Georgia, VinCheckUp.com offers users accurate, detailed and comprehensive, real-time Federal Gov't Title & Total Loss data & more at an affordable price. We use technologically advanced and powerful tools that allow you to access the National Vehicle Title System as well as additional record sources to check an automobile's history, including its reported odometer reading(s). You can also determine whether the used vehicle has ever been junked, salvaged or flooded.